Sen. Ben Sasse is having dinner tonight with Vice President Mike Pence as a part of the Trump administration’s attempt sway reluctant Senate votes ahead of the TrumpCare bill. Sasse’s fellow Nebraskan in the Senate, Deb Fischer, has not announced her position on the bill, and we don’t see her name on the list of senators pushing for concessions. Fischer got an earful on the TrumpCare bill last week during a town hall. More recently, she also raised criticism from constituents who tried to attend her re-election events but were turned away from venues, despite having tickets. Staffers told rejected attendees that they were “private” events, despite the fact that they had been widely advertised and tickets were available to everyone online. Fisher told her raucous town hall that she wanted to see how the nonpartisan Congressional Budget Office scored the TrumpCare bill before she voted. The CBO reported Monday that 22 million Americans would lose health insurance over the next decade as a result of TrumpCare. Premiums would grow less rapidly, but millions would have substantially higher out-of-pocket costs because their insurance would cover fewer services. Hurt most of all would be the near-poor, who would lose all coverage in states that expanded Medicaid, and older people who were not yet old enough to qualify for Medicare. Members of Congress would be exempted from TrumpCare under the bill being considered. The six Republican senators who are definite “no” votes are Rand Paul of Kentucky, Ted Cruz of Texas, Mike Lee of Utah, Ron Johnson of Wisconsin, Dean Heller of Nevada, and Susan Collins of Maine. The bill has been endorsed by the U.S. Chamber of Commerce. Fischer had a 100 percent rating for her voting record on issues important to the chamber in 2016. Sasse had a 63 percent rating. Failing to secure enough votes for TrumpCare , Senate Majority Leader Mitch McConnell (R-Ky) postponed the vote on TrumpCare until sometime after the July 4 holiday. 7-Up was the un-cola. Ben Sasse is the un-Nebraskan. Kinda weird, cut from an entirely different cloth than the typical Nebraska legislator. 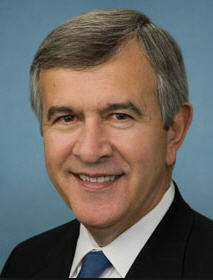 Mike Johanns? Chuck Hagel? They were summer-weight wool. Sasse? He’s a noisy plaid seersucker. On Tuesday, Mr. Unique made all Nebraskans proud (?) by talking about the bladder control of Supreme Court nominee Neil Gorsuch. Seriously. You can see it here. Sasse supports Gorsuch’s nomination. If you stay through the whole clip, the conversation improves significantly. Here at uVoted4them.com, we’re hoping that Senate Democrats boycott the vote on Gorsuch’s nomination. It won’t stop his confirmation, but it’s the appropriate response to a Supreme Court nomination stolen from President Obama by Mitch McConnell. We got a chuckle out of Sen. John Cornyn’s remarks Tuesday that he hopes Democrats will put partisanship behind them. Do as I say, John Cornyn says. Don’t do as I did. Presidential timber? Not even presidential kindling. Have Republicans lost their animosity toward ivory towers? Exhibit 1 — In the red state of Nebraska, we have Senate nominee Ben Sasse, who holds an undergraduate degree from Harvard, two master’s degrees, a PhD from Yale, and is president of Midland University in Fremont. Exhibit 2 — In the less-red state of Virginia, we have economics professor Dave Brat’s defeat of Eric Cantor in Tuesday’s House race. Brat, who teaches at the small Randolph-Macon College in Ashland, Va., holds a master’s degree from Princeton Princeton Theological Seminary (not related to Princeton University) and a PhD from American University. So, with at least two tea party candidates with doctoral degrees headed toward the November general, has the far-right embraced academia? Are good things now coming from ivory towers? House Republicans will hold an election June 19 to replace Eric Cantor as majority leader. Cantor plans to leave his leadership post at the end of July, but will serve out the rest of his term. Cantor has endorsed Majority Whip Kevin McCarthy (R-Calif.) as his successor. U.S. Rep. Jeff Fortenberry was part of the congressional delegation accompanying President Obama last week to the observance of the 70th anniversary of the Allied invasion of France. Fortenberry’s paternal grandfather served in World War II and died in France five months after the invasion. 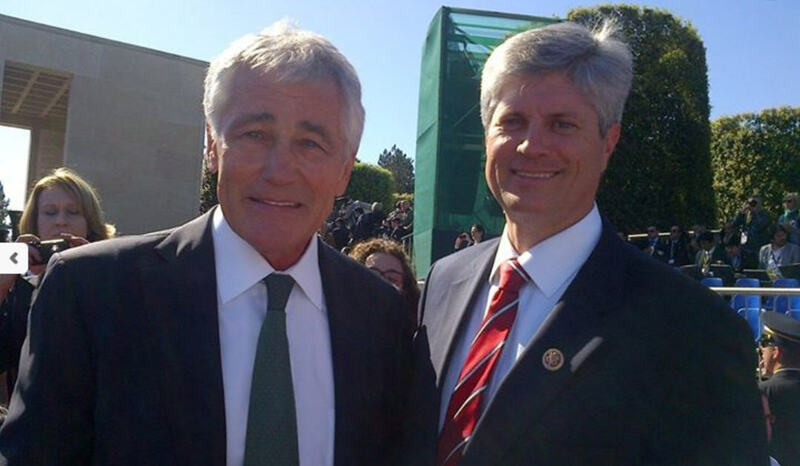 We hope this picture of Fortenberry and Defense Secretary Chuck Hagel (borrowed from Fortenberry’s House website) doesn’t cause too many conservative heads to explode. Just a couple of fellas from Nebraska enjoying a sunny day in France. Hagel, who grew up in Columbus, testified Wednesday before the House Armed Services Committee about the dealings behind the prisoner transfer involving Sgt. Bowe Bergdahl. Congressional leaders have complained that they weren’t given advance warning of the transfer. Hagel said time was short, a leak would kill the exchange, and that none of the five exchanged Taliban detainees were involved in attacks against the United States. “As secretary of Defense, I gave the authority and responsibility to determine whether the detainees at Guantanamo Bay can be transferred to the custody of another country,” Hagel said. Republican nominee for governor Pete Ricketts has chosen the current lieutenant governor, Lavon Heidemann, as his running mate. Heidemann, 55, has been lieutenant governor since February 2013, when he was appointed to the post by Gov. 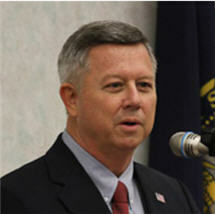 Dave Heineman to replace Lt. Gov.Rick Sheehy. 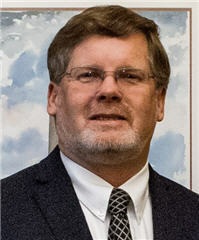 Heideman served eight years in the legislature, six years as chairman of the appropriations committee. In 2012, he was elected a University of Nebraska regent. Heidemann, whose website describes him as a farmer, rancher and volunteer firefighter, links the billionaire Ricketts to the everyday world of agriculture. As a former state senator, Heidemann also would be an asset in dealing with the legislature. Ricketts has no previous experience in government. Ricketts faces Chuck Hassebrook in the race to replace the term-limited Heineman. What does uVoted4them.com think of Gov. Heineman’s bid to become president of the University of Nebraska? Since you asked, we think he’s too old. He’ll be 67 when his term ends, and we’d prefer he pursue the normal activities of a retired governor his age: Run for another office, find a nonprofit to join, sit on corporate boards, scout Washington for a lobbying gig. Who knows? 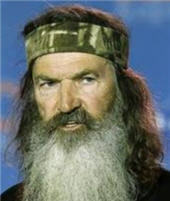 There’s an election in 2016, and there might be a new Republican administration looking for a guy just like him. Jim Jenkins of Callaway, an independent in the race to succeed Mike Johanns in the U.S. Senate, told the Fremont Tribune that he has more than enough signatures to get his name on the ballot, and will be submitting them in a couple of weeks. Jenkins runs the family ranch in Custer County. After college, he worked in Illinois and Ohio , then returned to Nebraska to raise his family. He launched the Whiskey Creek Steakhouse chain and Skeeter Barnes restaurants. Jenkins also was chairman of the Nebraska Ethanol Board. Daniel Keylin, who Nebraskans might remember as communications director for Sen. Deb Fischer during her successful 2012 campaign, has joined the staff of Thom Tillis, according to Roll Call. Tillis is the current house speaker in North Carolina. He is trying to unseat incumbent Democratic U.S. Sen. Kay Hagan. In just the past week, outside interest groups have poured more than $1 million in outside expenditures into Nebraska’s Republican Senate primary — mostly for attack ads. That brings the grand total for outside spending to $2.6 million. Sid Dinsdale’s campaign has picked up enough steam that outside interest groups are spending major money to attack him as a — gasp! — moderate. The Pinnacle Bancorp chairman has loaned his campaign a million dollars for the final push toward Tuesday’s election. The frothy far-right continues to beat up on Shane Osborn, who must be wondering what’s happened to the campaign money that is supposed to accompany the blessing of Senate Minority Leader Mitch McConnell. Establishment groups like the U.S. Chamber of Commerce and the Republican Senatorial Campaign Committee have stayed out of the Nebraska race, leading us to believe that nobody cares who wins in Nebraska — except the Tea Party establishment, which is spending freely on Midland University President Ben Sasse. U.S. Sen. Mike Johanns, who doesn’t plan to endorse any of the five Republican candidates seeking to replace him, criticized of the nastiness of the Senate race during interviews this past week. Johanns, who has held elective office pretty much continuously since 1983, when he was elected to the Lancaster County Board, said he never mentioned his opponents by name in campaign ads. Here are a couple of his comments to David Drucker at the Washington Examiner . 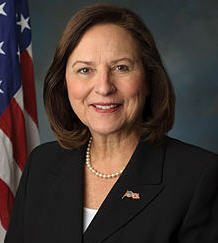 Also not endorsing a candidate in the Nebraska Senate primary: Sen. Deb Fischer. With about 80 hours left in the campaign, the Sasse campaign has launched what it promises to be the very last commercial of his primary race. It is a positive ad, but who needs to go negative when you have outside groups doing the dirty work? KETV Omaha and KLKN Lincoln pulled the 60 Plus Association’s ad that hammers Osborn for the fake Navy memo that his campaign produced to settle the question of whether he made the right decision to land his crippled spy plane in China. We hear the ad is airing on other Nebraska stations.The 60 Plus Association purchased $145,000 in air time. In a rather ham-handed effort to help former state treasurer Osborn, Pioneer Action Network aired a 15-second ad attacking Sasse for using his children in the ad to talk about how much their father “despises” Obamacare. “Tell Ben Sasse Nebraskans protect their families. They don’t hide behind them,” the ad says. There doesn’t seem to be much truth in advertising with Empower Nebraska, a group that has spent $62,538 supporting Sasse with direct mail. The group’s web site describes it as “the first and only super PAC specifically created by Nebraska Republicans to support Nebraska Republicans.” According to FEC reports, however, the group had 10 donors through the April reporting deadline and only three of them were actual Nebraskans. The PAC itself is based at a Tampa, Fla., accounting firm. Six donors live in the Washington metro area and one lives in New Hampshire. The Fact Checker column at the Washington Post has given 2nd District U.S. Rep Lee Terry three Pinocchio’s for his anti-Obamacare ad featuring Omahan Andrea Kodad. Turns out that Obamacare didn’t cause her health care premiums to nearly double or the tripling of her co-pays, after all. Kodad still has her old policy because the Obama administration allowed non-ACA compliant health insurance policies to be extended for another two years. What’s the right’s beef with Dinsdale? Well, there a couple, but they don’t amount to much. Club for Growth and the For America Inc. PAC accuse him of donating to Democrats, which is true. The Pinnacle Bancorp PAC gave $3,500 to former Sen. Ben Nelson between 2006 and 2011. Dinsdale also gave money to Columbus manufacturing executive Tony Raimondo’s Senate campaign in 2008. But the Behlen Manufacturing Group chairman was pretty much a DINO — Democrat in name only. He was a former Republican who came this close to landing a prominent post in the Bush administration in 2004. Meanwhile, the 60 Plus Association spent $100,000 on Thursday to attack Dinsdale on radio and TV for saying he would always vote to raise the debt ceiling. That probably plays well with the base, but the rest of us know the debt ceiling is raised only to pay for debts already incurred. Floor votes are where spending is controlled. uVoted4them.com apologizes for the gap in posts. We hit our nasty limit early in the week. You know it’s bad out there when spring cleaning is more appealing than politics. Nebraskans have weighed in on what they think of Senate candidate Ben Sasse’s ad that has his daughters discussing Obamacare, and over the weekend we got to see what Larry Sabato, director of the University of Virginia Center for Politics, thinks. The Sasse ad was one of many Sabato critiqued for an article in The Hill on the use of surrogates in campaign ads. With approval ratings for politicians somewhere on the level of used car salesmen, candidates commonly turn to others — often their relatives — to vouch for their character and commitment. In case you missed it, the 30-second spot features gloomy music in the background, a close up on the girls talking about how their dad “despises” Obamacare and how they pray for the other Senate candidates every morning. And then, as if to show how they are just normal little girls after all, despite their intense thoughts on policy issues, we get two seconds of one of them saying she wants a pony. uVoted4them has no problem with the use of children in campaign ads, but we would much rather see Sasse’s children in their normal roles of being children. The York News Times has endorsed Jon Bruning for governor, rejected both 3rd District U.S. Rep. Adrian Smith and his GOP challenger Tom Brewer, and taken a pass on choosing one of the Republicans vying to succeed Mike Johanns in the Senate. 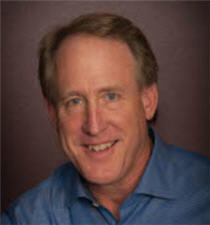 Publisher Greg Awtry was disappointed by the late April debate between Smith and Brewer. Smith, he says, talks a good game about controlling government spending, but government spending has risen 46 percent over the course of Smith’s career in Congress, and the national debt has doubled. The clincher for Awtry seems to be both candidates’ support for the Keystone XL pipeline. Here’s what publisher Awtry said about the four Republicans running for Senate. Read for yourself the News Times’ voter guide here. This might be a good weekend to visit Roku’s Channel Store or the neighborhood Redbox if you want to avoid the onslaught of campaign ads during the final 11 days of the primary campaign. In just the Senate race alone, the Washington Post reports that Ben Sasse’s campaign plans to air $200,000 in ads, Shane Osborn’s campaign has purchased $120,000 worth of air time and Sid Dinsdale’s campaign is going up with $80,000 in ads. Since switching its endorsement from Osborn to Sasse, FreedomWorks for America has spent about $13,500 for online ads supporting Sasse and another thousand on email, social media and printing. 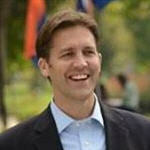 Tea Party Patriotic Citizens Fund, another pro-Sasse group, has spent about $17,000 on telemarketing. Those are the folks to blame when your phone rings. Club for Growth Action, another PAC supporting Sasse, has spent more than $220,000 since April 24 for production costs and TV ad time for anti-Osborn ads. Freedom Pioneer Action Network spent $103,525.80 on April 28 for advertising services and communications opposing Sasse. America Inc. spent $50,000 on May 2 for digital production costs and online ads opposing Dinsdale. The FEC says Nebraska Senate candidates have benefited from $1,536,131.10 in independent expenditures thus far. Additionally, the Leavenworth Street political blog has reported that a $200,000 ad buy for the May 3-12 period that was originally purchased by Ensuring a Conservative Nebraska has been handed off to The 60 Plus Association. As you may recall, Ben Sasse’s great uncle, Rupert Dunklau of Fremont, gave Ensuring a Conservative Nebraska $100,000 last month to finance an anti-Osborn ad. Dunklau, a retired Valmont executive, was the PAC’s sole contributor. Maybe Uncle Rupert, a well-known philanthropist in the Fremont area, is tired of seeing his name attached to negative ads. In any event, it was unseemly for Sasse, whose campaign told the Omaha World-Herald that Sasse asked his uncle to donate to the group, to claim he’s running a clean campaign at the same time he’s asking relatives for contributions for attack ads. Before leaving the topic of outside money in campaigns entirely, the Wesleyan Media Project has issued a report saying that outside interest groups sponsored, on average, 59 percent of the TV ads that have run in Senate races this cycle. In 2012, it was 51 percent. Two new polls came out this week for the Nebraska Senate race. Neither meets the reliability criteria for mainstream media coverage, and both raise as many questions as they answer, but they follow below. Forewarned is forearmed. The first one came from the Sasse campaign and shows him leading with 31 percent, Osborn six points behind at 25 percent, and Dinsdale in third with 22 percent. Bart McLeay was fourth with 5 percent, and Clifton R. Johnson fifth with 3 percent. Undecideds: 12 percent. The second is from Tea Party Express. It has Sasse leading Osborn 29.2 percent to 26.8 percent. Dinsdale is third with 12.8 percent and Bart McLeay trailed with 3.3 percent. Undecideds: 27.9 percent. Sasse-backers are advancing the storyline that the Osborn campaign is dead in the water, and Dinsdale is rapidly gaining ground. It may be true, or it may be just what Ben’s supporters want you to believe. What could be better for Sasse than to have Osborn, the overwhelming favorite at the start of the campaign, to be now perceived as flailing? You know you’re doing well when they start attacking you, which should be slim comfort to Sid Dinsdale. Erick Erickson at the Red State blog, who has endorsed Sasse, wrote this week that Sid Dinsdale’s daughter was a board member at Planned Parenthood, and that both Dinsdale’s daughter and his wife were contributors to pro-abortion groups. Dinsdale said his family has never contributed to pro-choice groups. It was Dinsdale’s sister who was once a member of the Planned Parenthood board. Dinsdale himself has been endorsed by Nebraska Right to Life. While he was at it, Erickson also frothed that Dinsdale is a really a Democrat. Some of it is pretty silly stuff, but it’s hard to believe the daughter/sister mixup was an innocent mistake. There have been plenty of pictures of the Dinsdale family on Twitter and whatnot. Sid’s daughters aren’t old enough to be serving on those types of boards. Both Nebraska Sens. Mike Johanns and Deb Fischer voted with the majority of their Republican colleagues to stall a measure to raise the national minimum wage. Sen. Bob Corker of Tennessee was the only Republican to vote for allowing an up-or-down vote. He said he doesn’t support raising the minimum wage, but thinks the issue should be debated. Raising the minimum wage is a longshot right now, but Democrats are hoping to build enough public pressure this midterm election year to finally get it through. The bill is sponsored by Iowa Sen. Tom Harkin, who is retiring from the Senate next year. You can also expect another symbolic vote next week in the Senate, this one involving the Keystone XL pipeline. Democrats in tight reelection battles are eager to cast a vote that tells constituents they want the pipeline built now. The vote might come on a nonbinding “sense of the Senate” resolution or an actual law. Any legislation would likely be vetoed, however, leaving the vote meaningless. A belated happy birthday to country music icon Willie Nelson, who turned 81, and Attorney General, and Republican candidate for governor, Jon Bruning. He turned 45 this week. ‘Tis the season for newspapers to make endorsements, and Sid Dinsdale has won the endorsement of the Omaha World-Herald in the race for U.S. Senate. 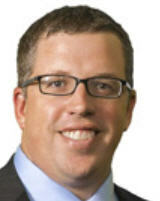 The Lincoln Journal Star has endorsed Shane Osborn. The Omaha World-Herald has taken Ben Sasse’s plan to replace Obamacare in for a checkup, and produced an expert analysis of his health care plan. The bottom line: It would take us back to the bad old days of pre-existing conditions, discriminatory pricing, annual and lifetime caps on benefits, and the kinds of crummy policies that buyers don’t understand until it’s too late. In exchange for doing away with the benefits and consumer protections Americans have under the Affordable Care Act, Sasse would raise the dollar limits on contributions to health savings accounts. Federal Medicaid dollars would still flow to states, but without federal strings on how that money is spent — also a lot like Ryan’s plan to make Medicaid a block-grant program. Sassecare would also allow insurance companies to sell policies across state lines. Insurance is regulated on the state level, and experts fear that sales across state lines would create a health insurance exodus to the state with the least regulation — much the same way credit card operations flocked to South Dakota when that state removed its 18 percent cap on interest rates in the early 1980s. In that scenario, uVoted4them.com finds that Nebraskans would benefit from Sassecare only if the state rolled back all or most of its regulations and succeeded in enticing insurance companies to move here — and then taxed them the way South Dakota taxes financial institutions. Tea party groups came under the financial microscope of the Washington Post this weekend, which found that only a small percentage of money raised by Tea Party groups finds its way to candidates. “Of the $37.5 million spent so far by the PACs of six major tea party organizations, less than $7 million has been devoted to directly helping candidates, according to the analysis, which was based on campaign finance data provided by the Sunlight Foundation,” the story says. Three groups — Tea Party Patriots, Tea Party Express and the Madison Project — spent 5 percent or less on election-related activities. Senate Conservatives Fund and FreedomWorks, both supporting Ben Sasse in the Senate race, have spent 40 percent of their contributions directly helping candidates with such items as ads and yard signs. Meanwhile, the staffs of such groups have been cashing in with six-figure salaries, retirement plans, and other perks. SCF spent $52,000 redecorating its Washington headquarters, according to the Post. Tea Party leaders have also cashed in by directing business to firms owned by the groups’ executives. Senate Conservatives Fund has paid a company owned by executive director Matt Hoskins $288,000 this election cycle, and the Tea Party express has paid a firm headed by Sal Russo $2.75 million since the beginning of 2013, the Post reported. The Tea Party was founded to cut wasteful government spending. It raises money by sending out flyers and hosting web sites that attract millions of dollars in mostly small donations from members with little knowledge of how the money is spent. If you missed the debate between 3rd District Rep. Adrian Smith and Republican challenger Tom Brewer, you can watch it here. Thanks KNEB News! We all know that Wisconsin Gov. Scott Walker has endorsed Pete Ricketts for governor, but did you know that the Milwaukee Journal Sentinal says the Ricketts family gave hefty donations to Walker during his recall election in 2012? According to the Journal Sentinel, Pete Ricketts gave Walker’s campaign $20,000, brother Todd gave $55,000, father J. Joe gave $100,000 and the family’s Ending Spending PAC gave $245,000. That adds up to $420,000. Attorney General Jon Bruning has been endorsed by the Lincoln Journal Star and controversial Maricopa County, Arizona, Sheriff Joe Arpaio. Arpaio became a celebrity cop after dressing Phoenix inmates in pink underwear and housing them in tents. He also is a “birther” who claimed in 2012 that both President Obama’s birth certificate and selective service card were forgeries. “Only Jon Bruning can be trusted to oppose amnesty and fight illegal immigration. I am proud to endorse him for governor,” Arpaio said.